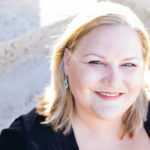 You may not know this about me, but I spent some years living abroad and traveling the world when I was in my twenties. I fell in love with many foods- because I love food- including Middle Eastern Cuisine. Today I’ve decided to share with you a simple but delicious salad. 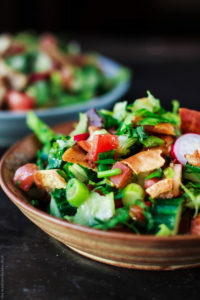 Fattoush is a traditional dish originally from Lebanon, which is where many of the best recipes come from in my opinion. This salad is made with simple ingredients that come together for a fresh, zesty, and healthy addition to any meal. I searched and searched for a great recipe until I found this well-balanced recipe for fattoush here. If you just have to get your fattoush fix right now, hit up the Jerusalem Mediterranean Cuisine which is here in Edmond. They have delicious food and their fattoush is on point.